The Rangers’ refusal to allow Ahsan Iqbal entry into the NAB court premises was a comical situation par excellence. The interior minister and the supposed boss of the force was not only unaware of their deployment, but also faced the humiliation of a public display of insubordination. Iqbal’s outbursts at the treatment meted out to him, and his menacingly innocent question on “whose orders the Rangers were obeying”, was reminiscent of 19th-century Mughal officials complaining about insubordination by Company officials, who were technically subordinate to the Mughal emperor. But what is truly special about such comic situations is their ability to reveal what is widely known but repressed, like the child’s declaration that “The Emperor has no clothes”, in the Hans Christen Andersen classic, ‘The Emperor’s New Clothes’. Custom, habit and fear prevent the enunciation of what is obvious, but a situation arises when it becomes unbearable to remain silent about the truth staring at you. And the truth revealed in this episode is the age-old wisdom that power does not reside with those holding official titles, but with those who can demonstrate it in moments of crisis. And we know who has demonstrated their power, and who is left red-faced at the gap between their official and actual status. Yet, the last nine years are littered with examples that power remains elsewhere from where it appears. For example, the ongoing attacks and dispossession of the peasantry at the Okara farms is an example of the state of emergency gripping Pakistan. Not only have all the peasant leaders been charged under anti-terrorism laws, but according to some reports just last week, the entire maize crop was destroyed in Okara’s chak 4/l village to punish their ongoing defiance. Most painfully, the peasantry is being portrayed as ‘RAW’ agents – to settle a land dispute. A local reporter of Nawai-e-Waqt, Husnain Raza, remains jailed on terrorism charges for daring to support the peasants’ struggle. His imprisonment has ensured that local reporters either ignore the movement, or outdo each other in finding one RAW conspiracy after another in this rural heartland of Punjab. The situation has deteriorated in Balochistan and Sindh, even when compared to the Musharraf era. The missing persons issue has now spread from Balochistan to Sindh, but it has generated little to no debate in the national media. Instead, any dissent from these two provinces is seen as a hostile attempt to thwart the economic miracle that awaits Pakistan in the form of CPEC. As always, this developmental miracle is being paid for by sacrificing the bodies of ordinary people, with the majority of them carrying Baloch and Sindhi surnames. The issue of missing persons has now taken a surreal turn. Early in the year, when a few bloggers went ‘missing’, the debate very quickly changed from shock at their disappearance, to the possible justifications for kidnapping such ‘enemies of the state’. What was bizarre about this narrative was the implicit acceptance that the state was involved in the kidnapping of its own citizens, normalising the idea of disappearances as a possible technique of governance in the name of ‘national interest’. Yet, any direct mention of the forces responsible for enforced disappearances was met with hysterical accusations of unpatriotic behaviour. The truth about power can be assumed, but not openly proclaimed. One can extend examples to include a number of trade unionists, and activists like Baba Jan from Hunza, who have been imprisoned for exercising their constitutional right to protest. There are consequences of this. One has the right to be critical if it does not touch the coordinates of power ie, as long as the criticism is loud but vague, and consequently, impotent. Yet, once one mentions the pillars of power behind the facade of democracy, even the most innocent questions enter the domain of a ‘foreign conspiracy’. The problem is that this sorry state of affairs existed during both the PPP and the PML-N governments, where very little efforts were made to rein in institutions within the legal framework. One still remembers former interior ministers going out of their way to convince the public of foreign threats across the country. In fact, before the APS tragedy, it was common for government officials to blame terrorism on external forces. Moreover, they have also largely failed to mobilise public opinion in favour of democracy, not least by their inability to demonstrate solidarity to those resisting the coercive apparatuses of the state. With fear as the only regulating value, the distinction between democracy and dictatorship is becoming thinner by the day. Of course, there are certain freedoms that we enjoy, but many of those existed even under the Musharraf regime. But the basic architecture of power, with all its taboos, red lines and punitive measures, remains intact, and in fact has expanded over the years. Such red lines can only be challenged by involving the public in questions pertaining to their fundamental rights. It seems like an impossible task for now, since popular mobilisation on citizenship by parties such as the PPP and PML-N could mean that the same citizenry can one day stand up to them as well. Yet, without taking such a risk, these parties will lose whatever little power they currently enjoy. The Ahsan Iqbal saga has opened up the possibility of a debate that is long overdue – ie whether we can ever take off the masks that have blurred our reality for too long. Political forces should band together and mobilise public opinion for closing the gap between the apparent and the real. The interior minister has taken a bold stance, and he can push the debate further by reaching out to other parties, and by taking a stand for groups that have faced a lot more than just humiliation at the hand of invisible powers. In other words, we need the political forces to act like the child in Andersen’s story by acknowledging the undeclared state of reality. Only such innocent and honest engagement can allow us to move beyond the current crisis that has paralysed decision-making in the country. 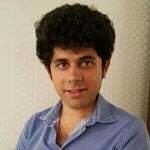 The writer is a doctoral candidate at the University of Cambridge, an assistant professor at Punjab University, Lahore and member of the People’s Solidarity Forum.